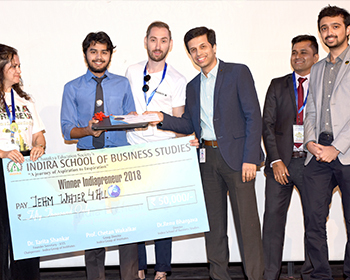 Indira School of Business Studies (ISBS) was established as an autonomous professional school to meet the growing needs of the business sector with the explicit vision to provide sustainable impetus to the corporate and entrepreneurial abilities in the youth. 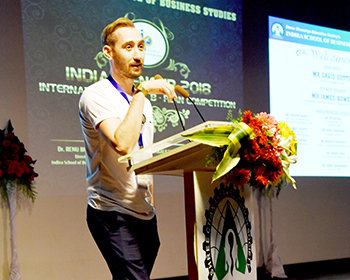 ISBS believes that the emerging global environment requires professional graduates to be armed with the sufficient knowledge and confidence of facing tough and competitive scenario. 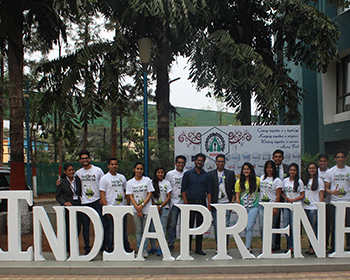 In this endeavour Indira School of Business Studies with the active involvement of its E-Cell, Arohan initiated "IndiaPreneur" as an attempt to foster the spirit of employment creators rather than just employment seekers. 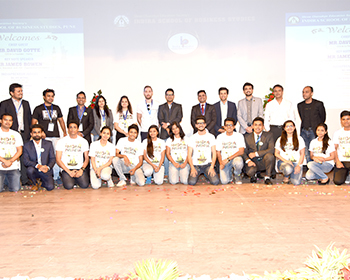 We wish to attract the budding entrepreneurs across the country & the globe. 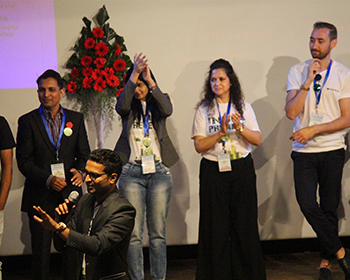 "An idea can change your life" , rightly so, the underlying philosophy of IndiaPreneur, an International level business plan competition, is to allow you to experience transition from ideation to implementation of a well thought out idea. 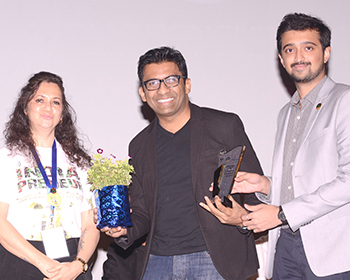 It’s your opportunity to rake your brain, let your creativity flow and startle the world with the power of unrestricted intellect and emerge as a winner. What are you then waiting for?? ?Limelight awaits you, Go Grab it!!! 1. 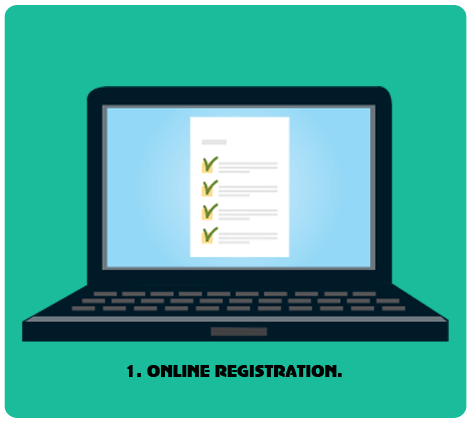 Online Registration 2. Submission of Synopsis. Online Registration All teams have to register online on. 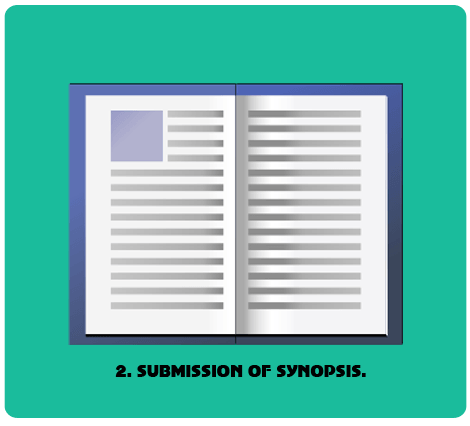 Submission of Synopsis Teams have to prepare synopsis of the business plan within 7-8 pages, font – Times New Roman, size – 12 and 1.5 line spacing (inclusive of all the Sections of synopsis), entries exceeding the prescribed limit will be discarded. The synopsis contains answers in the fields of Business concept, Customer analysis, Market analysis, and Business system description, Financials, Sustainability and Team description. The synopsis can be submitted / edited up to the last day of Submission. It must be noted that the last submission would be considered as the final submission for the team. Last date to submit the synopsis is . Intensive Mentor ship program Top 20 teams amongst all the entries will compete in the semifinals. 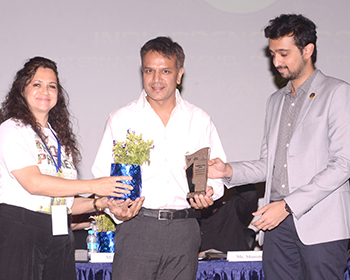 Each IndiaPreneur Semifinalist shall be assigned a mentor, for the specified duration. The Mentor shall advise the team on various aspects of their business plan. The communication between the Mentor and the team shall be mainly through meetings and mails depending on their convenience. We will try our best to assign the mentor to a particular team in his/her own city or the nearest city depending on the availability of the Mentor. The Mentor, once assigned, cannot be changed. 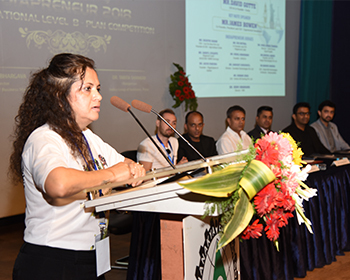 Submission of the First Draft of Business Plan The teams selected in the second round, after going through the Intensive Mentorship Program will have to submit a draft of their business plan. The format of the draft must follow the guidelines that will be given to the short listed teams. Submission and Presentation of the detailed Business Plan The selected teams, after mentoring and guidance, have to submit their detailed business plans. This stage calls for an exhaustive business plan that covers all details from Vision to Mission, Organization to Ownership, and Marketing to Exit Plan strategies. 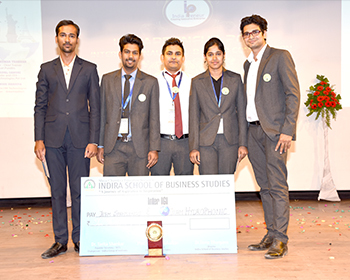 Also the selected teams would be required to make a presentation of their business plan to an eminent panel of judges on the Indira School of Business Studies campus at Pune. Top 4 teams amongst the ten semifinalists will qualify for the Mega-Final. 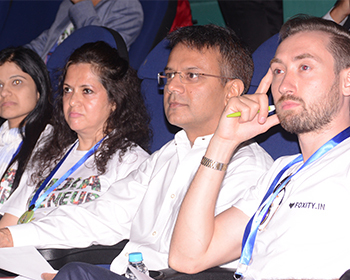 The finalists would present their business plans to the IndiaPreneur jury panel followed by the awards ceremony. 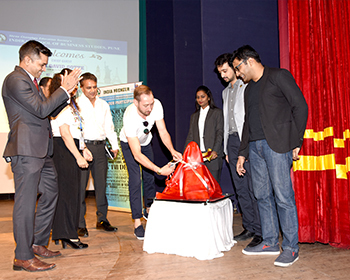 The presentations will be made at the Indira School of Business Studies campus in Pune. 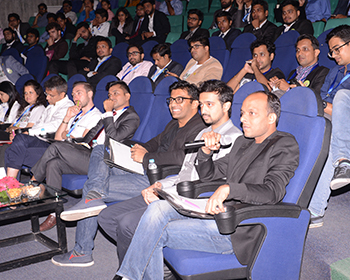 Selected B- Plans across all the Categories stand a chance to pitch and get incubated at Indira Incubation Center. The participants must send their business summaries before the due date. Teams have to prepare executive summary of the business plan within 7-8 pages, font – Times New Roman, size – 12 and 1.5 line spacing (inclusive of all the Sections of the Executive Summary), entries exceeding the prescribed limit will be discarded. All submission documents must be in both Acrobat (.pdf) and Power Point Presentation (.ppt) format. What is the origin of your idea? What precisely, is your product or service? What is the uniqueness and innovativeness of your product/service? What value is created by uniqueness of your product to the end user? This section should include one or two paragraphs describing the “problem” that you are addressing. It should concisely and precisely state the “pain” and what causes it. This section should contain a solution to the above problem – this section essentially documents the method you have used to address the “pain”. This section should document how big the “problem” is – i.e. have some numbers about the market that gives an indication of how much “value” you are creating through the “solution” you are proposing. How will the product/service be developed (possible plan to build the product or implementing the service to check the feasibility option), manufactured, marketed and sold? How will you make money? What will be your Revenue Mechanism? State at least three drivers of revenue to which your model is sensitive. State at least three drivers of cost to which your model is sensitive. In this section, outline others who have similar offerings or other products that could be used / are currently being used as substitutes to solve the “problem” including the following: Who are your potential and current, direct and indirect competitors in organised and unorganised market? What are the factors that give you competitive advantages and disadvantages? State entry and exit barriers of your market. Why do you think you can beat the competition? Describe the barriers to entry i.e. intellectual property (Patents, copyrights, trademarks), assets you posses in the form of expertise and resources and also the factors that give you competitive advantages and disadvantages. How much capital will be required? How will you fulfil your capital requirements? How many members are in your team? What value and skill set a member brings to team? What other team member you will need? State his skill sets. Uniqueness of the solution/product – Describe the product / service. Customer Value - How will the product / services benefit the consumer? Market size - How big is the size of the market targeted by your product / service? 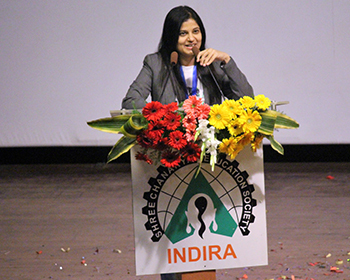 1) What is the registration / participation fee for IndiaPreneur? 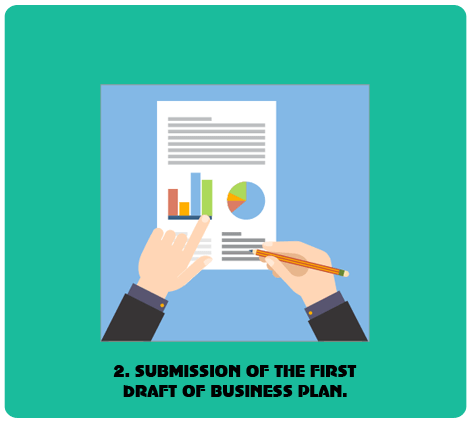 2) How should I submit the executive summary and subsequent business plan drafts? 3) Whom should I contact for assistance? 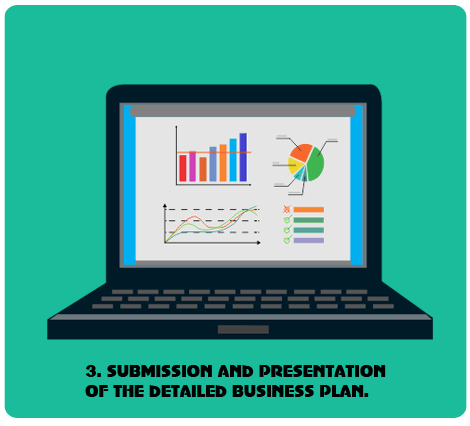 4) Where do I submit the executive summary, business plans – draft as well as final? 5) How is confidentiality of the Executive Summary/B-Plan maintained? 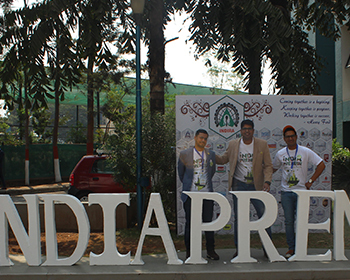 The entries for IndiaPreneur are judged by reputed faculty, entreprenurs and industrialists who believe in promoting entrepreneurship. Your entry is only viewed by the judge. At no stage is a organiser permitted to view your executive summary/B-Plan. Presentations are closed room presentations. 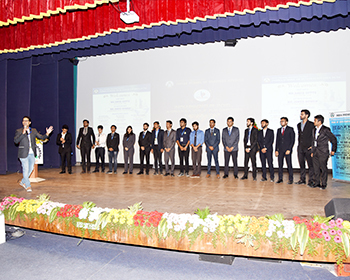 Only the team members and judges are present for the presentation. Often used as an alternative to inventions and is used to cover both technological advances in production processes as well as the introduction of different attributes and combinations in marketable products or services. In the latter context, innovation is a source of product differentiation and is used by producers to create demand and enhance market share. 7) What are the key dates and deadlines? Please see the section Important Dates. 8) Do I need to have a team? Please see the section Eligibility. 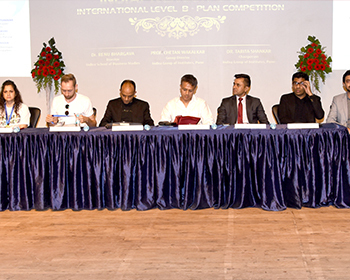 9) How will the business plans be judged? Business plans will be evaluated based on the quality of the plan, the feasibility of the plan and the size of the market opportunity. 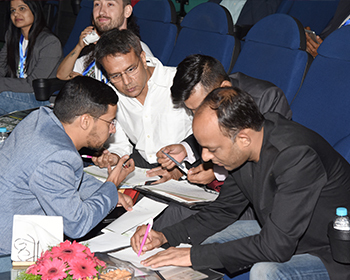 Judging will be conducted by a group of successful entrepreneurs, Venture Capitalists and experienced people from the industry. 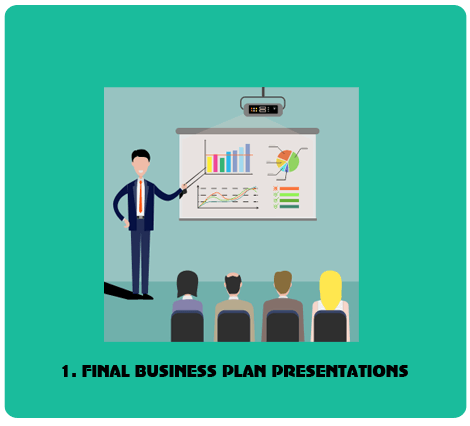 10) Does my business plan have to be technology related? No, we encourage the entry of all well developed business plans. 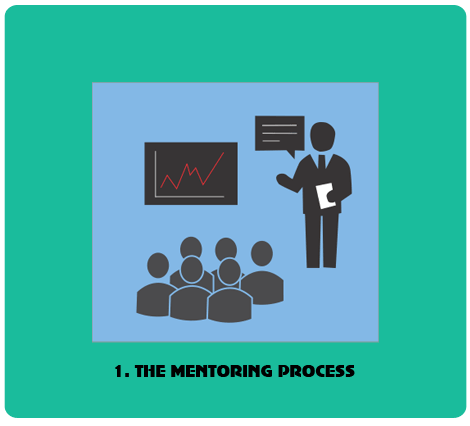 11) How does the mentoring program work? Mentors are experienced entrepreneurs or experts of specific fields who provide assistance and guidance to competition participants. Mentors will offer suggestions and feedback to help participants develop and refine a business plan. Competition participants are not required to have a mentor, although teams are strongly encouraged to take advantage of this opportunity. Teams can select a mentor on their own or request that the competition committee assign a mentor to help them. 12) When can I request a Mentor? A mentor will be allotted to all the teams that qualify for the semi-finals. The mentoring session will last through the period of January-February. 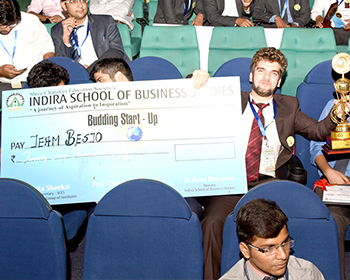 13) Who pays for the travel to Indira School of Business Studies campus, if we are travelling from outside Pune? All the selected teams travelling from outside Pune shall be entitled to two ways 3rd AC train fair (only two members per team) Special Trains Excluded. The lodging and boarding shall be arranged on the campus itself. The selected participants can claim the said fair by submitting the train tickets in original. 14) What kind of support will be provided from the Incubation Centre? 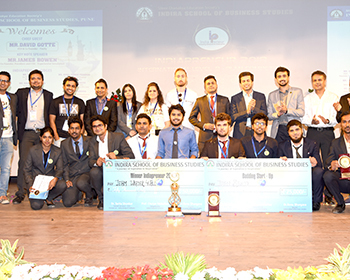 Among the finalists, the business plans identified with the potential to get converted to startup companies, will find conducive platform at ISBS at pre-revenue stage to get incubated in the Institute and develop their product prototypes and business model before they take it forward as a fully functional small enterprise. Such startup companies will also receive the benefit of available infrastructure, active mentoring and guidance, access to business networks and other resources from the institute. 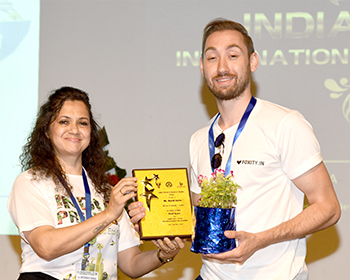 It was a great experience to be a part of Indiapreneur 2017 Competition. 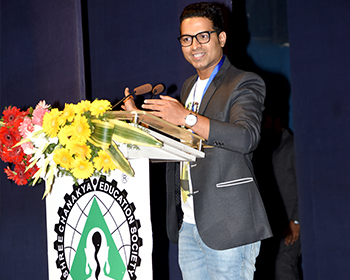 The continuous support by ISBS Faculty Mr. Tausif Mistry is highly appreciable. 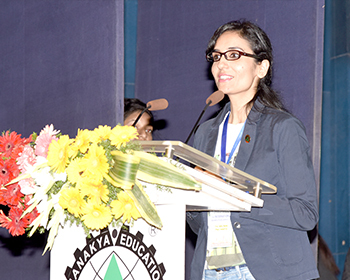 The other committee members like Mr. Ravi Singh, Ms. Steffy, Ms. Hridya and Mr. Manoj have done justice with their job. 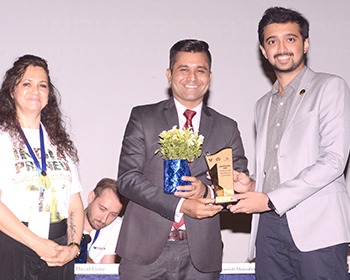 Hence, Sir i am requesting you to please conduct this competition TWICE a year so that we can also contribute more and get an additional opportunity to present our Business Plan in front of highly respected Dignitaries. 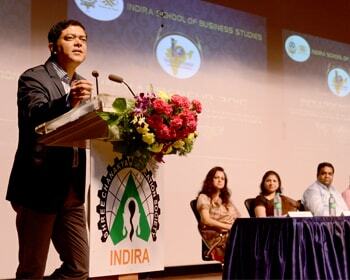 Address: Indira School of Business Studies, Sr No. 89/2A Tathwade, New Pune-Mumbai Highway, Near Wakad Police Chowky, Pune - 411033 Maharashtra .